A new militant from Arkansas guards the entrance to the occupied refuge on Jan. 14. The supply room in the occupied refuge on Jan. 3. The supply room in the occupied refuge on Jan. 14. Response to the road building was swift. 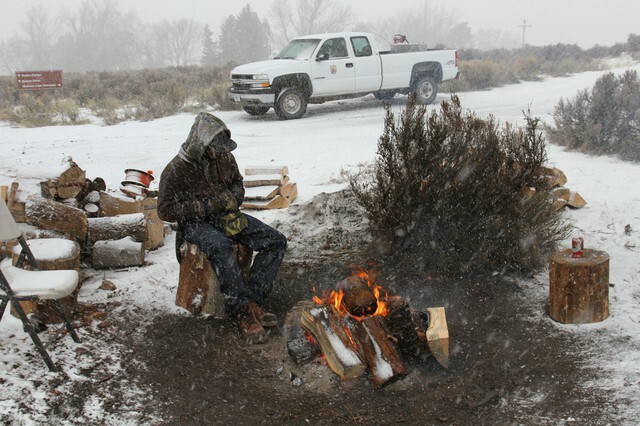 And members of the Burns Paiute Tribe, which has ancestral territory managed by the Malheur National Wildlife Refuge, called on the federal government to take action against the occupiers.